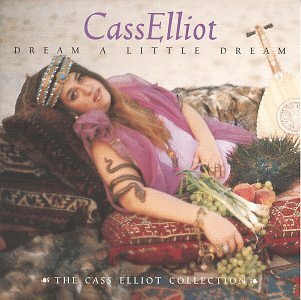 Mama Cass Elliot was one of the best singers of her era. As one-fourth of The Mamas and The Papas, Cass helped put the group in ermine. Her vocals are always so easy to listen to because she had the gift of song. Any song could become hers once she set her sights on it. Dream A Little Dream of Me became her best known solo hit. She was just getting herself off the ground as a solo artist when she died so unexpectedly in London of a heart attack. The single had gone into the US Top 40 and it was wildly popular in the UK. Cass could sing this one as if it had been written especially for her. She was superb. 1703 - The Methuen Treaty was signed between Portugal and England, giving preference to the import of Portuguese wines into England. 1831 - Charles Darwin set out on a voyage to the Pacific aboard the HMS Beagle. Darwin's discoveries during the voyage helped him form the basis of his theories on evolution. 1845 - Dr. Crawford Williamson Long used anesthesia for childbirth for the first time. The event was the delivery of his own child in Jefferson, GA.
1900 - Carrie Nation staged her first raid on a saloon at the Carey Hotel in Wichita, KS. She broke each and every one of the liquor bottles that could be seen. 1904 - James Barrie's play "Peter Pan" premiered in London. 1927 - Leon Trotsky was expelled from the Communist Party. 1938 - The first skimobile course in America opened in North Conway, NH. 1945 - The World Bank was created with an agreement signed by 28 nations. 1947 - The children's television program "Howdy Doody," hosted by Bob Smith, made its debut on NBC. 1949 - Queen Juliana of the Netherlands granted sovereignty to Indonesia after more than 300 years of Dutch rule. 1951 - In Cincinnati, OH, a Crosley automobile, with a steering wheel on the right side, became the first vehicle of its kind to be placed in service for mail delivery. 1965 - The BP oil rig Sea Gem capsized in the North Sea, with the loss of 13 lives. 1968 - "The Breakfast Club" signed off for the last time on ABC radio, after 35 years on the air. 1971 - Snoopy, Charlie Brown, Linus, Lucy and Woodstock of Charles Schulz’ "Peanuts" comic strip were on the cover of "Newsweek" magazine. 1978 - Spain adopted a new constitution and became a democracy after 40 years of dictatorship. 1979 - Soviet forces seized control of Afghanistan. Babrak Karmal succeeded President Hafizullah Amin, who was overthrown and executed. 1985 - Palestinian guerrillas opened fire inside the Rome and Vienna airports. A total of twenty people were killed, including five of the attackers, who were slain by police and security personnel. 1985 - Dian Fossey, an American naturalist, was found murdered at a research station in Rawanda. 1992 - The U.S. shot down an Iraqi fighter jet during what the Pentagon described as a confrontation between a pair of Iraqi warplanes and U.S. F-16 jets in U.N.-restricted airspace over southern Iraq. 1996 - Muslim fundamentalist Taliban forces retook the strategic air base of Bagram, solidifying their buffer zone around Kabul, the Afghanistan capital. 1997 - In Northern Ireland, Billy Wright was assassinated. He was imprisoned as a Protestant paramilitary leader. 2000 - Mario Lemeiux (Pittsburgh Penguins) returned to the National Hockey League (NHL) as a player after over 3 years of retirement. He was the first owner-player in the modern era of pro sports. Lemieux had purchased the Pittsburgh Penguins during his retirement from playing. 2001 - U.S. President George W. Bush granted China permanent normal trade status with the United States. 2002 - North Korea ordered U.N. nuclear inspectors to leave the country and said that it would restart a laboratory capable of producing plutonium for nuclear weapons. 2002 - Clonaid announced the birth of the first cloned human baby. The baby had been born December 26. 2002 - In Chechnya, at least 40 people were killed when suicide bombers attacked the administartion of Grozny. Carly Simon recorded one of her biggest hits for the soundtrack of the James Bond thriller The Spy Who Loved Me. The song was Nobody Does It Better and this was the first Bond theme to go to #1 on the Billboard Hot 100. 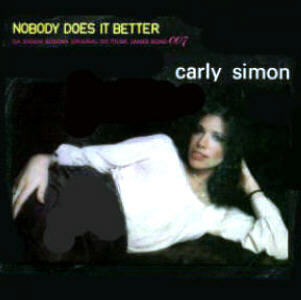 At the height of her career, Carly Simon was the perfect choice for this song. Its lyrics are timeless and her vocals just galvanize the track. Audiences went mad for it. The song’s popularity was one of the big reasons that this Bond installment became a box office hit. People still love this one, thirty years on, and it remains one of radio's most requested songs. With Roger Moore firmly settled in as Bond, Carly Simon’s theme is a perfect centerpiece to a now classic film. It is also one helluva song. You just can’t stop listening to it once it starts to play, no matter how many times you’ve heard it.